High on the hill the majestic Tipis watch over the swirling festivities below. Enter the great circle and revel in the radiance of the central fire. You are invited to go tribal in the Tipi Field at the festival. Take a little time to return to your roots in the ambience of this circle of traditional Native American Tipis. The venue not to miss in the Tipi Field is Ancient Futures, with a programme of inspirational music and performances, celebrating traditions from around the globe. Dance into the night with vibrant roots, folk and global fusion. See the Ancient Futures Stage programme for full listings. 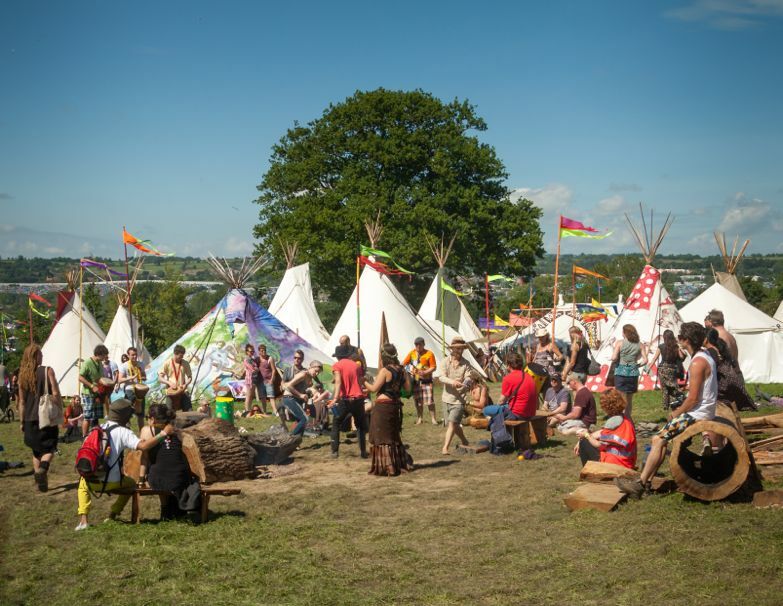 Located between the Stone Circle and the Park, the Tipi Field offers a great retreat from the main stages. 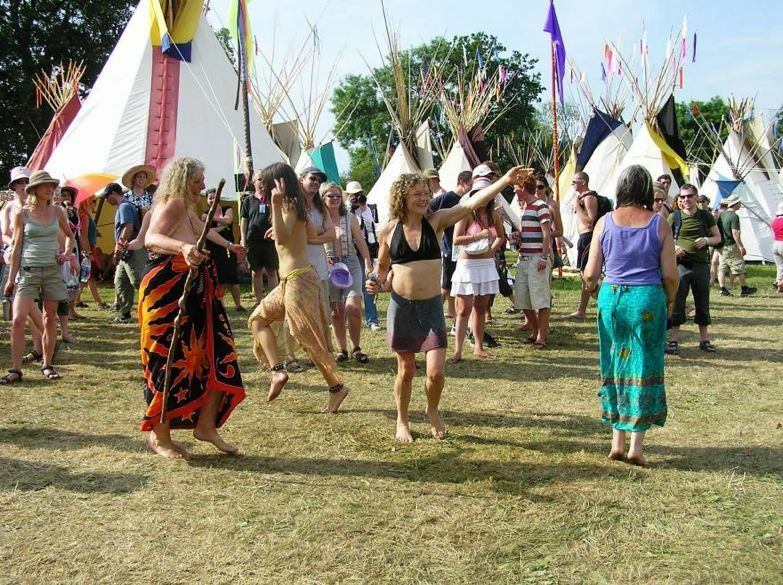 A place where you can rekindle your festival spirit and remember the magic that it is all about.